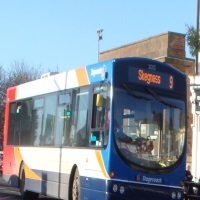 Some visitors to the area take the train to Skegness before completing their journey to Mablethorpe by bus. Having checked out lots of different companies that offer train tickets, Train Genius are the best that I have found. They sell tickets from all of the UK train companies, and through these guys you can save up to 80% on what you pay on the day at the station. Buying your tickets in advance is a good way to save some money on your travel, what I like about Train Genius is that they state they have all of the cheapest advance tickets that are available for purchase, I chose several routes and couldn't find a cheaper ticket. 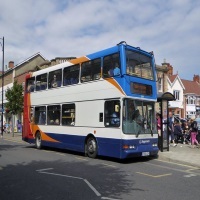 Once your journey is complete to Skegness you will need to take the bus to get to Mablethorpe, in the related articles section at the bottom of this page you can find out where you need to be to catch this bus, and what times the service is available. For telephone enquiries at Skegness train station please call 08457 125 678. 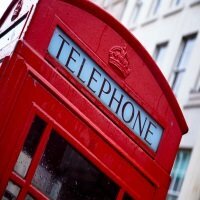 If you're calling from abroad the international code for the UK is +44, then miss off the 0 from the number. Below I have included the search ticket widget, this gives you the opportunity to search in advance for your upcoming travel, and potentially make great savings on your future tickets. 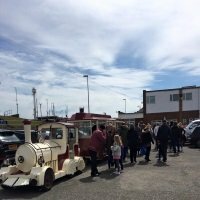 All tickets can either be collected at the station you will be leaving from, ( which is free of charge ) or you can choose to have your tickets delivered to your home address via Royal Mail, for which a postal charge would be included.